A recent discussion I had with Damien Athope on ethics and objectivity. This talk largely traced similar ground to a previous discussion that I had with Jersey Flight. Still, it might be of some interest. The second half of the discussion that addresses the history of ethics and contemporary issues will follow shortly. I while back I started a series called “Blogging Orthodoxy” which documented my Newman Center’s reading group as we worked our way through Chesterton’s grand treatise, “Orthodoxy”. This series dropped off during my blog’s long hiatus but now that I have finally gotten around to blowing the dust off all my old posts, it feels only right to finish the series. In fact, all that remains is to put a capstone on the project and I can easily do that in the hour I have before I head out to my parish’s annual retreat. Here it goes…. It is hard to overstate the effect that a book like Chesterton’s “Orthodoxy” has had upon my life. Of all the books that gradually took me back through the doors of the Church, this was the lynch pin. The point at which I knew that something had to be done. Faith had to be lived. Passivity was no longer an option. Even revisiting the book seven years later, Chesterton’s conclusion was powerful. Reading the last lines, I could feel my group intently anticipating the inevitable finale. But this time, as the conclusion came, those same words felt very different. The words that shocked me as a non-believer fell lightly this time around. Chesterton’s conclusion was still profound but it was no longer abrasive. When once the image of the mirthful Christ had come into my imagination like an thundering army, it was now like a returning hero being welcomed home. I could feel the same emotions all around. In fact, there was very little discussion of this final section within the group. It felt as though nothing more needed to be said. The book had ended and we were left with a sense of anticipation. Something was about to happen. And, in fact, it did. A year passed. Spirituality grew. Friendships formed. Our patron, an inimical Dominican Friar, was able to raise up a thriving young adult community that would be the envy of a much larger parish. Even our weekly reading session grew to become a bit of an institution among the Catholic young adults in North Seattle. Much has been learned and looking back, I find myself reflecting on where it began, our reading of “Orthodoxy”. Much has been said about the line that ends “Orthodoxy”, and certainly the image of God’s levity is what I remember when thinking back on the book. However, among all the very spiritual images conjured by the author, perhaps the plain message of the chapter is lost; the message that, in order for our struggles to transcend our own personalities, we must first acknowledge an authority over ourselves who competent to judge us. Our lives might be adventures but only if we acknowledge One greater still who can act as an author. At one point in my life I would have balked at this sentient. I am a natural contrarian and the concept of authority does not come easy to me. But I think that it was this lesson that I did indeed learn over my last year working with the Newman center. There is a time for trust. There is a right place for faith. Once one accepts the authority of the spiritual, the worldly struggles that were at one point meaningless and setbacks that at one point seemed insurmountable become simple features in a larger story. When one wanders aimlessly even the slightest breeze feels like a cruel and irrational blow. Once a person has the right direction even the strongest headwinds can be braved with ease. I return to the question of authority today, as my Parish bids farewell to the Dominican Friar who had been our group’s leader and the founder of our book group. Certainly it has been the pattern of modern Christian communities to crumble once their founder is reassigned and I can sense that there is a similar fear that our community will slowly break once separated from its founder. Far from me to be an optimist but I am more encouraged than most. The spirit that brought our community together and animated it is more than the force of one saintly soul. The authority that directs us forward is much older. The adventure that has bound us together is much deeper. 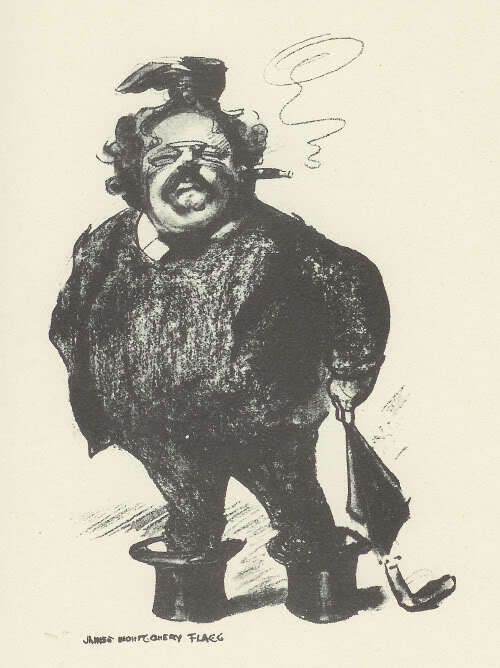 We hear the great laughter Chesterton described and its prospect is as terrifying as it is terrific. We are traveling for that end alone and the force of that prospect binds us together as a community even if we do indeed physically drift apart. And so, the task is set. The path is before us. The adventure is upon us and I believe still that we have the courage to see it through to the end. Using a tried but true internet meme. Seven quick reactions to interesting things on the internet this week. The result is sound but a little deceptive. The idea a non-converging series having a finite numerical identity is already such an abstract concept that it’s hard for me to really expect a rational looking result moving forward. Still the result is weird, valid and apparently applicable to string theory. But how can you add bunch of positive numbers together and still get a negative one? The Obama Administration looks like it’s finally embarrassed itself enough and is now making some retractions on spying. Though, I suspect this ultimately may amount to little more than a strategic repositioning. It looks like there is still going to be some kind of data retention mandate that forces the third parties to retain data in case the government has “legitimate” reasons to make queries. Of course, we all know that we can count on large corporations to securely hold vast collections of personal data they do not expect to profit from. Right?, right? So, unsurprisingly, Target has lost an astronomical amount of customer data including e-mail, telephone numbers, and PINs. It’s looking like negligence on the part of Target played a role in the breach but I am not expecting anyone to ultimately care about this. Even if we can expect a large amount of identity theft coming from the data showing up on a Russian hacker site, is the public really going to link the increase in identity theft back to bad corporate data management? 4.) Folk Music : Is Inside Llewyn Davis Accurate? It looks like a number of folk singers have pushed back against the portrayal of early 60s Greenwich Village. No comment here, but the discussion is quite interesting. This year’s fare seems a little disappointing however. Most look like very straightforward Pixar clones. In fact, I’m finding myself looking forward more to a feature-length nomination, namely, The Wind Rises , Miyazaki’s last film detailing the life of Jiro Horikoshi, the father of Japanese aviation and the infamous creator of the Zero. The squabbles led to a tiff and finally a schism between two factions within Sunday Assembly NYC (Atheist congregations DL). Jones reportedly told Moore that his faction was no longer welcome in the Sunday Assembly movement. Someone still needs to explain what “humanistic cult” means to a militant atheist, it sounds like something a conservative Catholic would say. 7.) Data : What will the Impact of Big Data be on Pharmaceutical Marketing? Finally, a new speculation about uses of data-mining in the pharmaceuticals industry. This looks like a long shot to me, but it’s worth keeping an eye on. I might start worrying if the results are more successful. Anyway, Happy Martin Luther King Day Weekend! I’ll stay updated. Orthodoxy can be quite idealistic at times. This is probably no surprise coming from a man like Chesterton who preferred to talk about fairies over general elections. The preference was not simply fanciful. To Chesterton, it always was more worthwhile to discuss ideals. Ideals were more honest. I know this can alienate modern readers who prefer realism to discussions over first principles. Probably many people get this far in Orthodoxy and wonder what Chesterton’s assertions about loyalty, optimism, and pessimism have to do with real-world policy. In the chapter The Eternal Revolution, Gilbert addresses this point of practicality. The key, to practical success, Chesterton says, is to have a clear and unchanging ideal. Only with a fixed and abstract vision of the good can anyone ever get anywhere. Though frustrating to realists, I think most people will agree that an unchanging ideal is the first step to reform. First we have an ideal vision and only then can we work diligently towards its realization. Regardless of how hard, if we persist we will get closer to seeing our ultimate goal finally realized. But modern society has made two blunders that have clouded this common sense approach to reform. The first is to imagine that “progress” is inevitable. The second is to assume that if something has failed many times then it cannot rightly be considered ideal. Though these conceptions are looked on as “progressive” they are in fact huge bulwarks against any reform. Certainly if we are evolving inevitably, no action would ever need be taken. Moreover, if the standard of progress itself were changed every time difficulty was encountered, society would remain practically immune to alteration. Reform can only proceed when we understand a common and unchanging vision of what the future should be like. Our reading group seemed more or less content with this definition of reform. But of course what type reform? Even the emergence of “reform” as topic in the context of the Catholic Church briefly sparked controversy. This, I think, embodies the first and foremost objection that a skeptic would raise to Chesterton. Reform towards who’s ideal? A skeptic might rightly ask. People speak about having a common vision but when it comes down to it, there is no agreement. For now I will not directly answer this objection; but I offer that our own group’s disagreement, while adamant, did not indicate a true division. The argument like most arguments, was actually an indication of a common ideal. In fact, it didn’t take more than a few reminders that we all sought the same thing – a Church carrying forward the teachings of Christ – to bring the argument to a close and move the litigants to a renewed feeling of comradery. Of course, we all knew that the disagreement still stood but ultimately what was being argued over wasn’t the ideal but the means to achieve that ideal. In fact, if there was no shared ideal, the disagreement never would have taken place. I would submit that one can only really argue with people who share common core values. 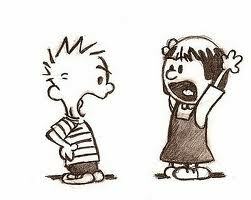 When we argue over means to achieve an end, we can, in the heat of the argument, accuse our opponents of being obtuse and regressive. But when the fundamental values are not held in common argument itself cannot be mustered. We usually just scratch our heads in incomprehension. Chesterton predicts that any loss of common values will lead to social and political to stagnation. Certainly this is in keeping with common political complaints from both the left and right in modern times. It is easy to see how two sides, unable to properly communicate about ends, will never come together to forge a political means. But here I must disagree with Chesterton’s concern about the endpoint of a society unable to believe in unchanging ideals. Rather than stagnation, I have come to anticipate the exact opposite; a sort of implicit and unthinking progress where the human race gradually slouches into an easy future that no sane person in their right mind would endeavor to create. Though rare, there are those that believe that the principles of right and wrong can change. I used to believe this myself. It seemed only logical at the time. If human society were to evolve, the morals and principles of humanity should evolve with it. I had only a vague notion of what it would mean for core principles to “evolve” (since there would be no principle by which to judge its evolution). Still, the idea seemed logical enough. Since all other human qualities could be improved upon, and our ideals were among human qualities, our ideals themselves could therefore be improved. I didn’t finally come to interrogate this idea until I found myself face to face with those who held it more consistently than I ever could. In my last post on Orthodoxy, I recalled a discussion I had with an atheist who firmly believed that he would live forever due to technological extensions on life span. Surprisingly enough, as I grew familiar with the atheist community, I learned that these sentiments were not uncommon. The followers of similar ideas called their coming utopia “The Singularity”. There is much to say about this concept, but in a nutshell it recommends the construction of a omnipotent and omniscient AI that can solve all known problems in the world. This AI will then bestow immortality and unlimited pleasures upon the human race. The only thing holding this grand vision back? You guessed it, Christianity, religious superstition, and naive humanistic values that restrain “progress”. I remember being taken back by this idea, though at the time, I couldn’t put into words why. I answered snarkily to one adherent that if the future AI were advanced enough to change human biology, it might more easily remove the survival instinct and eliminate the human race. It is one thing to make humanity live forever. It is much cheaper to make them no longer care about death. But again quite strangely, my interlocutor seemed unshaken by this response. He simply stated that If the AI master exterminated humanity this would simply be the course of evolution and any sentimental attachment to our existence was simply naive primitive ethics.Of course, the other members of the group greeted this answer as being very “evolved” (whatever that means) and I remember being caught speechless and flatfooted by the entire situation. I still haven’t thought of a good counter to the argument that humanity should be exterminated by malicious AI and I don’t expect to find one soon. But the bizarre anti-humanist techno-utopianism of the Singularity wasn’t even the end of the matter. There also was a sort of Luddite equivalent called the Voluntary Human Exctinction Movement. Born from a sort of uber-Malthusian environmental sentiment, this movement dreamed of a utopia that would be born when the human race was, not just reduced, but completely exterminated. Nature would then reclaim the planet. The members would go about encouraging self sterilization (and sometimes even suicide) all in the name of the rebirth of some garden of Eden sans Adam and Eve. Again, what I felt was not exasperation but a sort of non-verbal befuddlement. In the imagination of the Singularity Movement and the Voluntary Extinctionists the end point of the universe was bleaker than any dark age. It was an endless morass dominated by nothing that could feel compassion, wonder, joy, gratitude, or love. The vision of utopia had been so streamlined that the dreamers themselves had whitewashed themselves out of it. But there was one caveat. Even when talking to the radicals themselves, they seemed very unenthusiastic about the ultimate outcome of their journey. A much more passionate topic was how “inevitable” their vision of the future was and how they were “more evolved” for embracing this philosophy before everyone else was brought to heel by the merciless force of history. Frankly, I couldn’t help thinking of an enslaved native bragging to his still free brethren that he was the first to wear the shackles that the master would inevitably clasp on every one of them. It certainly would be a bitter victory. I don’t want to represent the Singularity crowd or the Voluntary Human Extinctionists as representative of the atheist community at large; but in some way they have taken the conception of the evolutionary philosophy to its logical conclusion. Most atheists are very devoted to an idea of evolutionary progress. They start with the humanist morality taken from Christianity (and earlier pagan religions) and then claim that this ethic has evolved to its current state and will continue to evolve beyond its modern incarnation. The goal of humanity, on this account, is to push this force of progress forward, evolving ethics to its necessary and inevitable culmination. But the members of the Voluntary Human Extinction and Singularity Movements have called this bluff. They have evolved past humanism. The less advanced atheists tell people to embrace the ultimate goal of progress because it is inevitable. The advanced atheists of the Singularity Movement have made the final leap and have embraced what they see as inevitable as the ultimate goal of progress. And here we come to the core of all naturalistic and “evolutionary” argumentation: inevitability. I make no claim to know whether humanity is inevitably doomed to be destroyed by a super-powerful AI or inevitably doomed to be destroyed by a natural catastrophe and the earth is reclaimed by vegetation. But I can say, quite firmly, a future so devoid of human struggles and joys would be quite disappointing to my own values. We have made a giant mistake by imagining our ideals are something simply natural. Of course they may have developed from nature, but in our hands they are much more than simply nature. If humanity is reduced to simply nature, no human can be free. Nature is completely deterministic and if we enslave morality to naturalistic justifications then we will eventually discover we have exchanged a real mode of reform for a truism that excuses any random emergence as either “natural” or “evolutionary”. Once we say “the good is inevitable” we are only a short way away from saying “the inevitable is good”. The tyranny of determinism will have secured its final victory. But before one stares to long into the abyss of determinism, we should remember that nothing in the future is actually inevitable. We only have to work for an ideal and the future can be exactly what we make of it. Humanity’s ideals can define them apart from nature, but only if we conceive of those ideals as above nature. If indeed the values that guide us are supernatural then we can shake our fist at any future apocalypse however likely. More and more I believe the eternal state of humanity may be to stand on the precipice of certain doom. Of course, the believers in deterministic extermination will talk all they want about the course of “natural progress”. But as strong as their inevitability is, it can be shattered by a single ideal that stands beyond nature’s power to alter it. 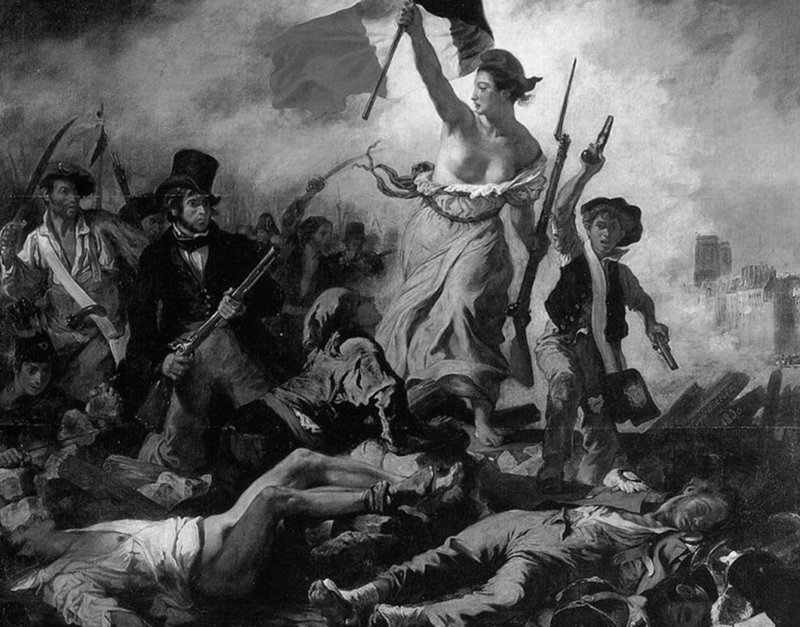 All that is needed is one supernatural dream and we can wage an eternal revolution against the tyranny of the inevitable. 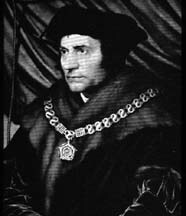 Today, I came across these words attributed to Sir Thomas Moore in Robert Bolt’s A Man for All Seasons. They took me back and I found myself thinking about modern identity. The quote, while not directly from Moore, embodies very closely a Thomist attitude on identity predicted on virtue and honesty. It’s a perspective very alien to modernity but also one that, I believe, should be reexamined in the digital age. In the modern world we are materialists and, as such, person-hood is the body. Moreover, identity is comprised of the groups to which we belong: Gay, straight, black, white, Asian, Democrat, or Republican. Opinions, as well as principles, are malleable. Even ethical systems serve more to identify the groups to which we belong rather than define an explicit code of conduct. Our reputations (and subsequently information collected about us) is, in this sense, almost ancillary to who we really are. It is a by-product, not the arbiter, of our identities. There is much to be said for the modern perspective. It certainly has given us a more easy-going attitude towards minor indiscretions. But has it made us better people? I remember homilies about gossip. Perhaps these embodied an old-fashioned perspective, but it seemed that destroying another’s reputation was worse than theft; possibly even worse than murder. Such a notions certainly seems quaint now. Even politicians discovered breaking their vows are able to quickly rehabilitate their careers and I certainly can’t imagine anyone in our modern era going to death over the wording of an oath. Modernity perhaps offers a more tolerant perspective, but there is something that seems truer about Moore’s attitude. In the Thomist view a man is the sum of their actions. They are their word. They are their reputation. In a modern sense, we might say that a person is his own data. If contemporary individuals took the same perspective as Moore, they might be much less cavalier about their relationship to Facebook and Google mail. I shudder to think what would happen if we viewed modern social data the same way Moore viewed taking an oath. But there something aspirational in thinking that, in the future, individuals might take responsibility for their data the same way gentlemen in the past took ownership of his word and reputation.